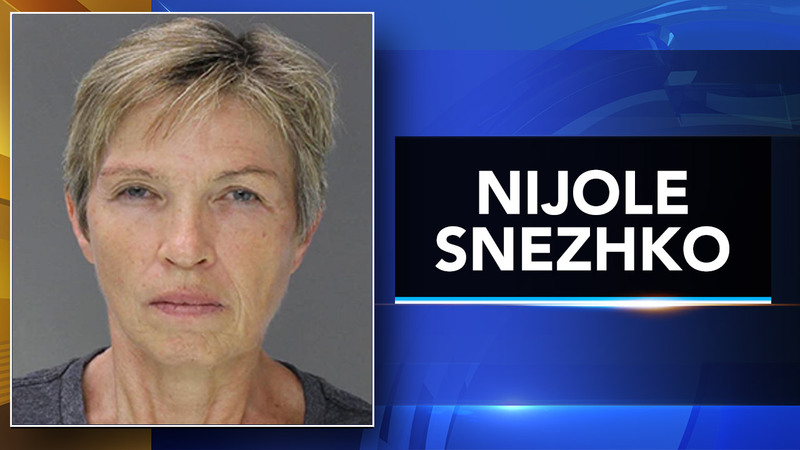 ABINGTON TWP., Pa. (WPVI) -- A 58-year-old Somerton woman is accused of robbing a bank in Abington Township by using a starter pistol to hold up the teller. Nijole Snezhko is facing robbery charges, after police say she walked into the Key Bank in Huntington Valley and pulled out a gun. They say she demanded money and then told the teller to come with her. But the teller refused to go, and investigators say Snezhko fled. Police caught up with her a short time later,and say they found the money and the gun - which was a starter pistol in her vehicle.